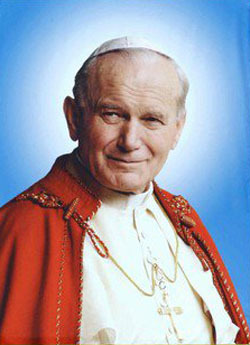 Today is the feast day for Pope St. John Paul II (Karol Wojtyla) as well as the 37th Anniversary of his Installation to the Papacy of the Catholic Church. 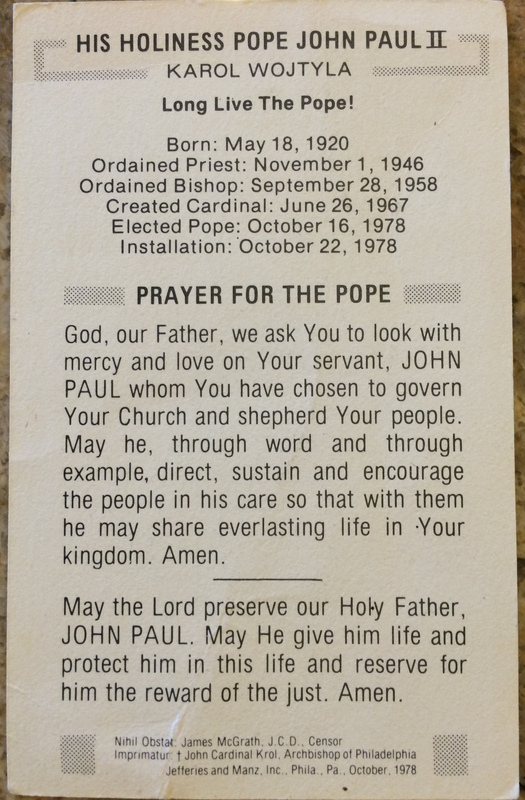 Below you will find two pictures – the front and back of a prayer card from October 1978. 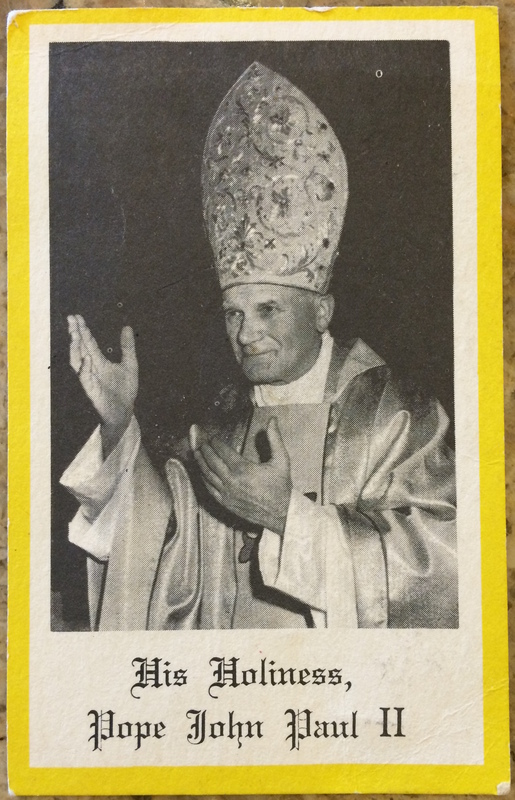 In some aspects, this prayer card for Pope St. John Paul II is like a baseball rookie card. It states the dates of his birth, ordination to the priesthood, elevation to the episcopate, cardinal creation, election to the papacy, and installation to the papacy. If the prayer card below is like his baseball rookie card, then my blog post titled, Pope Saint John Paul: Mission Accomplished, is his induction to the Hall of Fame, well in this case, the Heavenly Kingdom. In the 3½ years of writing through this blog, I have written about Pope St. John Paul II 47 different times. He is one of the main reasons why I teach and write about the Catholic faith so much. His inspiration in my life, which began through Bobby Kloska, has fueled many of my projects on here and in different parish/school positions. This link will take you to the many other blog posts I have written on him. Pope St. John Paul II…Pray For Us!